Banner by the fabulous Julie! A special thank you to Cathy and Andrea for their contributions to this guide. Alright, so let's start out with some common kadoatie terms. Many of these terms are used on kadoatie feeding & chat boards, so you should probably know what they mean, right? If there are any other terms that should be added, please neomail me. Main – Main is when the majority of the FED kadoaties ask for new items (fed being the kadoaties that say they have been fed with a thanks message below the picture, not the kadoaties asking for unbuyable items such as vinarok). When people are talking about the next main, it is the next possible time the fed kadoaties could ask for new items. Mini – Mini is when one or just a few of the FED kadoaties ask for new items. Minis are created when a kadoatie is fed separately from the rest, usually an unbuyable item. For example, if main goes (as in the fed kadoaties ask for new items) at 8:15 but one of them asks for a Galactic Water & the Galactic Water isn't fed until 8:29, a MINI is created along with main. Minis use the same time system as mains, they just often go at a different time. When minis go, it is always the kadoatie in the bottom right corner that asks for a new item. The other FED kadoaties shift over one spot to the left. If two minis go at the same time, the bottom right corner and the kadoaties next to it will ask for new items while the other FED kadoaties shift over two spots to the left. Tie - A tie is when two people try to feed the same kadoatie at the same time. Both feeders get credit for the feed, but only one username shows up in the Kadoatery (as far as we know, the username that shows up is random). If you successfully feed and your username did not show up under the kadoatie, you tied. This is not a glitch. Partial/Half Load - This is when you refresh the Kadoatery, main goes, but you do not see five complete rows of kadoaties. Instead, you may see three complete rows and one half row (this is just an example, how many kadoaties that show up in partial loads varies). Partial/half loads occur when you refresh the Kadoatery a split second to early. Merge - Merges are when main and one or more minis go at the same time, or when more than one mini goes at the same time (instead of going at separate times). For example, if both main and mini are pending and both the main and mini kadoaties ask for new items, main and mini merged. GLF - This stands for good luck feeders, this is normally said right before a time that you refresh. It is simply a way of wishing people luck when they try to feed (while also serving as a reminder that it's time to refresh at the Kadoatery). GLMF - This stands for good luck mini feeders, and this is normally said before it's time to refresh for a mini. Similarly to GLF, it is simply a way of wishing people luck when they try to feed a mini (while also serving as a reminder that it's time to refresh at the Kadoatery). HN CF - This stands for had nothing, congrats/congratulations feeders. This is said after main by people if a kadoatie did not as for an item in their inventory, and if they did not feed using another method. Some may just say cf (congrats feeders) if they had something but didn't feed, or if they're just congratulating everyone who fed. CMF - This stands for congrats/congratulations mini feeders. This is just a way to congratulate the person or people who fed the mini or minis. UB – This stands for unbuyable, or an item that costs more than 99,999 neopoints so it normally can't be purchased in user-owned shops. SDB - This stands for Safety Deposit Box. BDE – Blue Draik Egg, this use to be a food item the kadoaties asked for. Although it's not asked for anymore, some people still reference it. going pink - Going pink is in reference to getting the Kadoatery – Mew! avatar. This avatar has a pink kadoatie on it, so you are *pink* when you have the avatar (even if you don't use it as your current avatar). kad lag - This is a term sometimes used when only the Kadoatery pages are loading slowly (as in kadoatery lag). Timekeeper - A timekeeper is simply someone who is keeping track of when the main and minis are, and when the next refresh time is. See the timekeeping and timekeeper section for more information on timekeeping. Mewbie - A mewbie is someone who is a newbie to kadoatie feeding. If you are relatively new to kadoatie feeding and if someone calls you a mewbie, it is not an insult, so please don't take it offensively. OFer/OFing – overfeeder/overfeeding, overfeeders are people who continue to or have fed kadoaties AFTER they get the Kadoatery – Mew! avatar by feeding 75 kadoaties. Overfeeding is not against the rules. AFer/AFing – autofeeder/autofeeding, an autofeeder is someone who downloads a program to feed kadoaties. Using a program to feed kadoaties (autofeeding) is against the rules (for cheating) and a freezable offense, so don't do it. There really is no hard-coded limit on your Inventory since you can move lots of items from your SDB to your inventory at once, so you will not be frozen or have your inventory cleared just for having too many items out while moving things around. However, having hundreds of items in your inventory for prolonged periods of time is quite fishy and you may be investigated by site monitors who will make sure you're not cheating or anything of that sort. 69 items is the max you can have on hand and still be able to use quick stock. However, we recommend you have 49 items in your inventory as it allows you to still be able to buy items you might need in a hurry for those Kadoaties or be able to accept gifts from friends. So basically you are allowed to move items around while feeding kadoaties, but if you have too many items in your inventory for a long period of time, monitors may investigate the situation for potential cheating. Just don't risk it: feed fairly, have 50 or less items in your inventory. There are three typical methods of feeding: invent feeding, wiz feeding, and sdb feeding. Remember that your price range is completely up to you. Base the maximum amount you will spend on one kadoatie food item on what you can afford or what you are willing to spend. Invent feeding (or inventory feeding) is when you buy items prior to trying to feed a kadoatie, then hope that one of the kadoaties asks for an item you have in your inventory. This is a very popular method of feeding, especially for newer feeders (and it is my personal recommendation on the method to start out with). So how do you choose what to buy? Fortunately, some fabulous people assembled food lists. There is a food list organized by type (ex. faerie, medieval, tropical, etc) located here and a food list organized by words they contain (ex. jubjub, stuffed, lemon, rock, etc) located here. I would recommend choosing a few smaller categories, each of which containing a specific word (it's easier to remember than a random inventory). Choose something UNIQUE rather than just choosing chia pops, potatoes, organics, etc. These categories are normally more difficult to feed because of the amount of competition in them. Some people do choose to have a random inventory of either cheaper items or items they see the kadoaties ask for a lot. After invent feeding an item, most invent feeders rebuy the item and put it in their inventory for the next time it shows up, but it's up to you on whether or not you will rebuy items. Wiz feeding is a method in which you wait until main goes before buying kadoatie food. Have the Kadoatery open in one window/tab and the shop wizard (or super shop wizard if you have premium and would prefer to use that) open in another window/tab. When the kadoaties ask for new, buyable items you quickly copy and paste the name of an item into the shop wizard which is in your other window or tab, (do not try to open it after main goes because it takes more time) and search for the item. I recommend using Ctrl + c to copy and Ctrl + v to paste as it's much faster. After you search for the item, click a shop, buy the item, then go back to your other tab/window which has the kadoatery open and click the kadoatie that is asking for the item you bought. When choosing an item to search for on the wiz, try to pick an item that is less likely going to be an inventory item (for example, wizzing a Cinnamon Granola Bar instead of a Blue Apple Chia Pop would be a good choice). A good way to start wiz feeding is to pick a spot (or an area) in which you intend to try to select an item from and attempt to feed. Choosing an area to feed in prior to main will reduce the amount of time you spend looking around the Kadoatery, making it more likely you'll feed the kadoatie instead of someone else beating you to it. For most people, wiz feeding takes a bit more practice than inventory feeding, but it's a nice way to increase how much you're able to feed (especially if your inventory is not asked for in a main, you can then try to wiz feed an item). Many inventory feeders do wiz feed if they don't see their inventory, and in my opinion this is a good way to feed. SDB feeding is a method in which you usually buy a large number of kadoatie food items prior to trying to feed, then put them in your safety deposit box until main. You can sdb feed with a small number of items, but most sdb feeders have at least 1000 kadoatie food items in their safety deposit box. Before I continue, if you are truly going to be an sdb feeder it is a large investment. I would only recommend sdb feeding if you intend to overfeed for a while, not just stop at the avatar (otherwise buying all of those items is a waste). If you are seriously interested in sdb feeding, first you need to buy items. 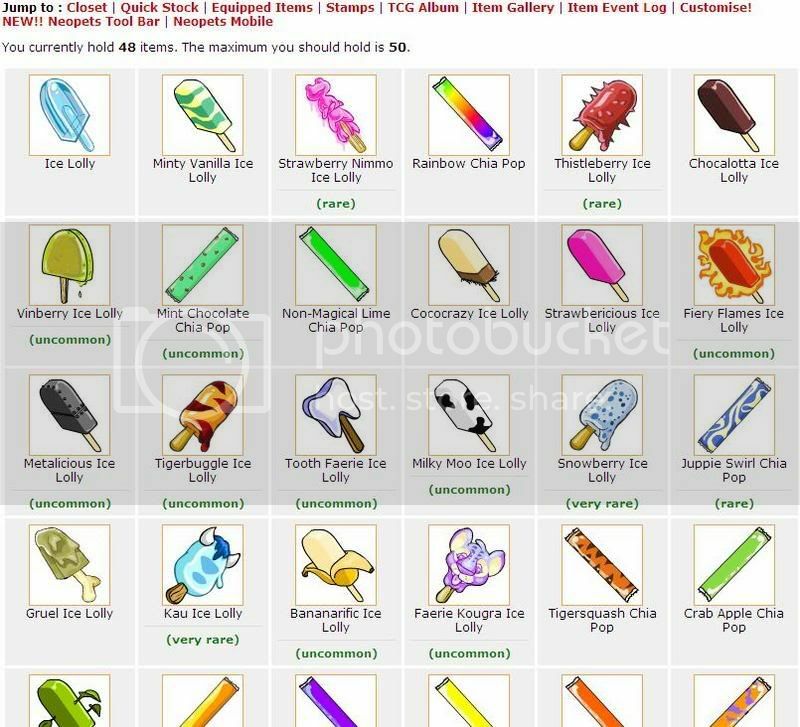 There is a food list located here and another here that you can use to look up the food items you wish to buy. You do not need to buy every kadoatie food item, but the more you have, the more likely it is you'll be able to feed. Most sdb feeders have a limit on how much they're willing to spend on one kadoatie food item for their sdb, and it is a good idea to have a limit. After buying items for your sdb, you need to wait for main. Similarly to wiz feeding, have one tab/window open with the Kadoatery and another tab/window open with your sdb. When the kadoaties ask for new, buyable items quickly copy the name of an item one of the kadoaties asked for (that you have in your sdb) and paste the name into the search bar of your safety deposit box. Then search for the item, and click the Remove One button for the item (it's under the box where you can enter the quantity of that specific item you would like to remove), then switch back to your Kadoatery window/tab and click the kadoatie you are trying to feed. Similarly to wiz feeding, try and choose to sdb feed an item that is less likely to be an inventory item over a common inventory item. SDB feeding takes practice, but when you get decent at it, it is normally more reliable and faster than wiz feeding. If you intend to SDB feed, remember to set it so you don't need to type in your PIN number to remove items from your SDB. Click here to change your PIN number preferences. YOU DO NOT NEED A VINAROK, BLURF, VEGGIE FAERIE BURGER, MYNCIBEAN PUNCH, GALACTIC WATER, GALAXY ENERGY DRINK, OR ANY OTHER UNBUYABLE ITEM IN ORDER TO FEED A KADOATIE!!! I'm shocked that some people still aren't able to grasp that concept, but it's true. Let's move on to how to feed without an unbuyable item. Wait for the fed kadoaties to a ask for new items. Yes, that's really how kadoatie feeding works. Unfortunately, for most people it's not as simple as it sounds. Now onto the details. Firstly, you should pick a method of feeding. Several people use more than one method, such as inventory feeding and wiz feeding. After selecting a method (and buying food if you are invent feeding or sdb feeding), you'll need to find out the current time situation. There is a Kadoatery Feeding Times & Lists thread in the games forum that is almost always up to date with the next time to refresh. Please note that this is a NO CHAT thread which was created for the purpose of being able to find the information quickly (instead of searching through pages & pages of chat for the times). Sadly, the people determining the times aren't just psychic… there's actually a system. As I said, just because main is at 2:48 (note that this is just an example, there will not always be a main at 2:48) does not mean the fed kads will refresh at that time. This brings us to pends. If the fed kadoaties do not ask for new items (aka if main does not go) at the given time, this is called a pend. For a pend, you add seven minutes and refresh again. This continues until the main does go. For example, if main is at 2:48 but main does not go at that time, the next refresh is at 2:55. If at 2:55 main does not go, you refresh again at 3:02. If at 3:02 main does not go, you refresh again at 3:09. This refreshing every seven minutes thing lasts until main goes (the fed kadoaties ask for new items), an at that time you add 28 minutes to determine the next main and the system continues. There is more information on this time system located here. Alright, now that you've looked to find the time and you know how the time system works, you just need to wait for that time to come. When it does, refresh every seven minutes until main goes. At that time, just click as fast as you can regardless of the method you're using. Like most things, it does take practice to get better and faster at kadoatie feeding. So what will happen when you do click a kadoatie to try to feed? The number it says you have fed will be the number of kadoaties you have fed (in this case, it was my 847th successful feed). Instead of saying Van Cleef, it will say the name of the kadoatie and the image will be the color of the kadoatie you fed (in this case, I fed a yellow kadoatie named Van Cleef). Once again, the name and color of the kadoatie will correspond to the kadoatie you were actually trying to feed. Also, the username will be the username of the person who actually beat you to the kadoatie. And yes, I did get permission from sfacvr to use that image. Again, the name and color of the kadoatie will correspond to the kadoatie you fed. And obviously, it will show your username instead of mine. And again, the name and color of the kadoatie will correspond to the kadoatie you were trying to feed. The word Vinarok will also be replaced with the name of the item that kadoatie asked for, and a picture of the item will show up where the picture of the vinarok is. This is another format often found on chat boards. However, this format is not acceptable on the Kadoatery Feeding Times & Lists thread. In this example, main is not pending yet and there aren't any minis. This is the same format often found on chat boards, but once again it is not acceptable on the Kadoatery Feeding Times and Lists thread. In this example, main is not pending but there is one mini which is pending. What do you get from feeding kadoaties in the Kadoatery? You get this trophy for feeding one kadoatie. After feeding 10 kadoaties, your bronze trophy will change to this. When you feed 25 kadoaties, your silver trophy will change to this. You will receive this avatar after you feed 75 kadoaties and view your user lookup (the event will appear by your trophy). Will the Vinarok and other unbuyable kadoaties ever be cleared? Can you reset the Kadoatery? Where can I find a Vinarok? 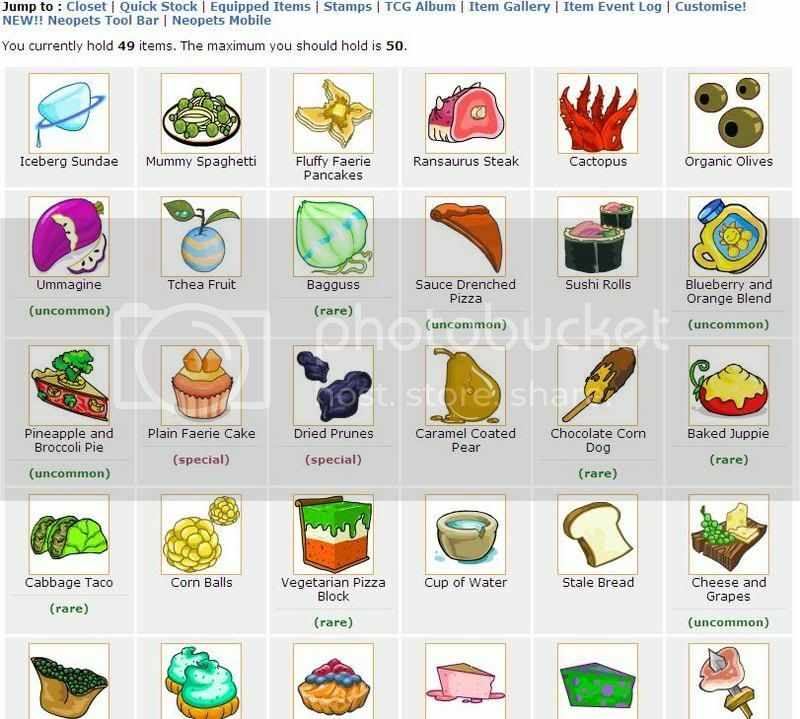 Vinaroks stock at the Tropical Food Shop on Mystery Island, but they very rarely stock. Sometimes people are selling them at the trading post or auction house. Just remember that you do not need a vinarok to feed a kadoatie. Why do people ask for lists after main? Many people use lists to track item trends, while other people just like to see if their inventory showed up if they missed or simply didn't see all of the kadoaties. Is it against the rules to feed on my side account? No, feeding on your side account is perfectly fine as long as you earned the neopoints to feed on your main account, and as long as you're not using a cheat program to feed. What are kadoaties and what is the Kadoatery? Welcome to The Kadoatery! This is where Kadoaties go when their owners are on holiday. It's a nice place, but it doesn't take long for them to get lonely. Each Kadoatie really wants an item to make it happy until its owner returns. If you have the item the Kadoatie is looking for, click on its cage to hand it over! You'll make the little Petpet very happy, and your name will be displayed here so everyone knows how kind you are. What color kadoaties are in the Kadoatery? Why are the kadoaties crying? At 11pm NST, TNT (The Neopets Team) turns the lights out in the Kadoatery. Kadoaties do not like being left alone in the dark, so they cry. You can still feed the kadoaties during this time, but they still won't look happy. The lights are turned back on at 3am, so the kadoaties are happy again at that time. Is it possible to feed more than one kadoatie per main? Contrary to popular belief, yes it is possible to feed more than one kadoatie per main without breaking any rules. If you feed a kadoatie but tie and if your username does not show up, you may feed another kadoatie. If your username is already displayed in the Kadoatery, you may not feed another kadoatie. This also applies to minis. For example, if you feed during main but tie without your username being displayed, you may feed during a mini (if there is a mini), and vice versa. Wait, once I saw someone's username in the Kadoatery twice at the same time. Didn't you say that you could only feed another kadoatie durng a main if your username didn't show up? Yes, I did say you can only feed a second kadoatie during a main if you tied without your username being displayed. If someone's username is displayed in the Kadoatery more than once simultaneously, it is a glitch. How many seconds before or after the minute of the next refresh time should I refresh? This all depends on your internet connection speed and whether or not the site is lagging. If you have a fast connection, refreshing one second after the minute is usually good. If you have a connection that lags slightly, refresh on the minute. If you have a very slow connection or if the site is lagging quite a bit, refresh a few seconds before the minute. How many seconds before the minute depends on how long each page takes to load (more time to load = refresh earlier). Why do people continue to feed kadoaties after they get the trophy or avatar? Those people make it impossible for me to feed! Why don't they give other people a chance to feed kadoaties? Feeding kadoaties is fun and very addicting. Most overfeeders continue feeding just because they enjoy it, or they are trying to get on the Unofficial Kadoatery Hi-score List. A very small percentage do feed to try to make it more difficult for newer feeders, but as I said that is a very small percentage of overfeeders. Everyone has the same chance to feed a kadoatie, some people just choose to practice and improve rather than complain. Remember that feeding kadoaties is a GAME. No one is required to stop. Continuing to feed kadoaties after you get the avatar is no different than continuing to play a flash game after you have the trophy or continuing to collect avatars after you have the Avatar Collector avatar. Everyone started out the same: having fed no kadoaties. It is not another person's fault if you are unable to feed. Please do not blame someone else for your own problems just as a way to get out of taking responsibility for a problem that is entirely your problem. Simply practice feeding and you will get better. Who knows, maybe one day you will be an overfeeder! Just as an extra note, most overfeeders did start out kad feeding either disliking overfeeders or saying they will never overfeed. Wahhh wahhh wahhh! I have a dial-up connection so I can't feed kadoaties. Can you please tell other people to stop feeding so that I can feed with my dial-up connection? Sadly, several people have neomailed me saying something very similar to this. It is possible to feed with a dial-up connection. Several overfeeders feed with a dial-up internet connection. While it may be more difficult, it's absolutely not impossible. Oh and asking people to stop feeding just for you seems a bit wrong and selfish, doesn't it? As some of you know, there are several kadoatery threads throughout the forum. Here's a list, with a brief description, of some of the more common threads. These are listed in an alphabetical order based on the forum they are located in. Please do not ask when main & mini is on these threads before you look. Often times are posted on the page or the previous page, and it gets rather irritating for people to have to constantly answer when main is just because people are too lazy to look. 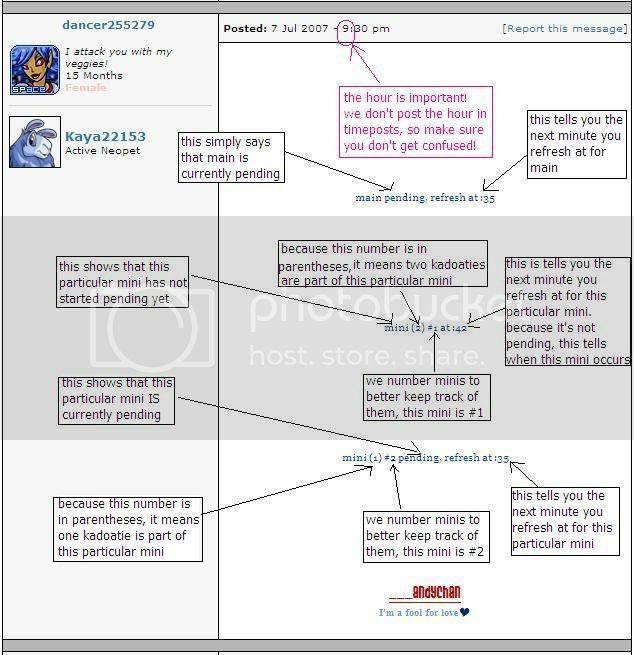 ACK/The Avatar Chat's Kadoatery is located in the Avatars/NeoSignatures forum. This is a kadoatie chat board, but the chat is not limited to kadoaties. 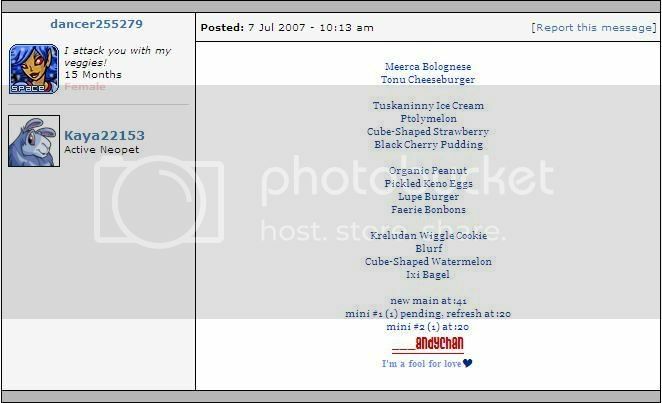 Because it is in the Avatars/NeoSignatures forum, many people there are just in it for the Kadoatery – Mew! avatar. In my experience, more new feeders go there than the number of new feeders who go to the GCK. Sometimes, this leads to a few of the new feeders giving out inaccurate information, so be sure to double check if you get your information from this board. It appears this thread does not exist at the moment. GCK/The Game Chat's Kadoatery is located in the Games forum. This is a kadoatie chat board, but the chat is not limited to kadoaties. Personally, I don't know much about this thread considering I haven't actually chatted there, but from what I've seen lurking, there tends to be a larger number of older feeders (as in they've been feeding longer) than the number of older feeders who go to the ACK. Kadfish is located in the Avatars/NeoSignatures forum. I don't know anything about this chat board except it appears to have replaced the ACK. Kadoatery Feeding Times & Lists is located in the Games forum. This is a no chat thread intended only for times a lists. This thread was created so that people can quickly find the important kadoatie information quickly without needing to dig through the chat to find it. Questions, comments, chat, etc is all discouraged and should be redirected to another thread. The people there are not mean, but chatting defeats the purpose of the thread. HCK/The Kadoatery HELP Board is located in the Help forum. This thread was started by some of the people who keep the Kadoatery Feeding Times & Lists board up to date. While it is a chat board, the main purpose of it is to answer questions regarding kadoaties and the Kadoatery. Because many of the same people keep this board and the times and lists board up to date, people who comment or chat on the Kadoatery Feeding Times & Lists thread are redirected here. It appears this thread does not exist at the moment. Premium Kadoatery Boards are located in various premium forums. These tend to not be 24/7 threads, but there is often a MH Kadoatery Board in the Main Hall forum and/or a Charter Kad Times Board in the Charter Members forum. There are also kadoatery threads in other languages, but I do not know where they are located or which languages have kadoatery threads.